STABILITY AND SECURITY: Unique tri-cup suction design with 3 vacuum super suction bases, It can be firmly adsorbed on any smooth surface, and keep in place even in high-speed movement. Can support the DSLR firmly, but we don't suggest using it in fast-moving conditon. 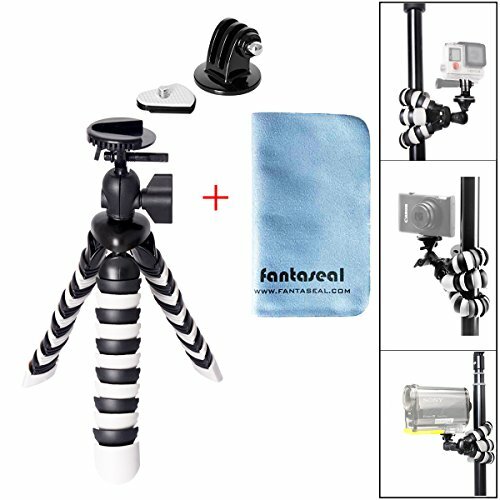 The Fantaseal Time Lapse Camera Mount is a great accessory if you like experimenting with time lapse videos. Although it’s design for use with GoPro I’ve used it successfully with a lower cost GoClone camera which had a case with the same mounting system. It’s made of metal and is very similar to a kitchen countdown timer clock, rotate the dial to set how long you want it turning for and then just leave it to it. As well as looking like a kitchen timer it sounds like one too, with an audible ticking and a ringing when the time is up. It has a standard tripod mount on the bottom which is brilliant for using with a standard tripod in a busy area to catch lots of people milling around at a good height without having to balance this on an available surface, and also opens up loads of opportunities for using this in interesting locations if you happen to have flexible tripods that can wrap around tree branches. If you don’t have an action camera but do have a mobile with a time lapse feature this can still be used, the action camera mount can be removed to reveal a standard tripod thread. 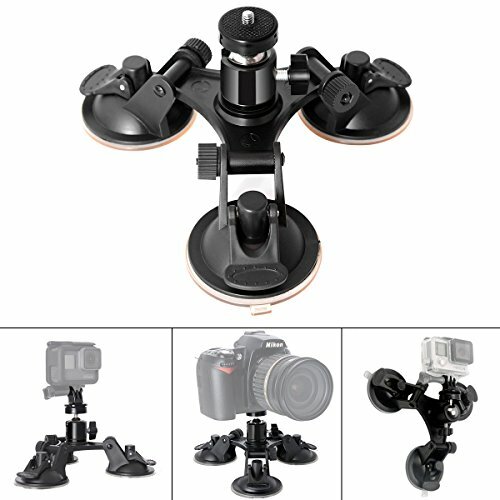 Note that it doesn’t come with any other mounts, you’ll need to buy your own mobile mount. 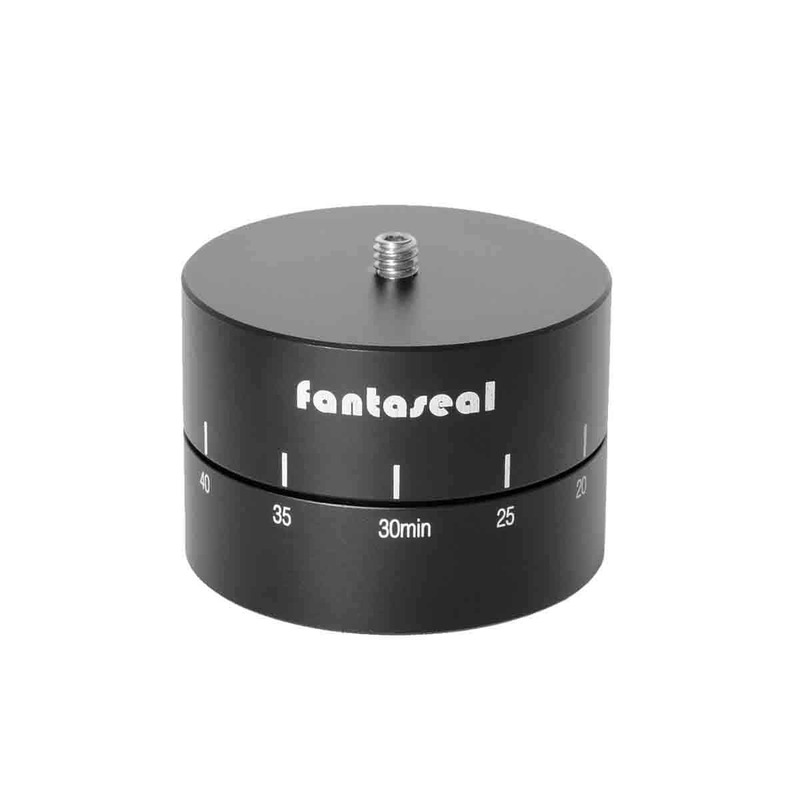 In the review video you’ll see this works really well with an iPhone SE, the combination of fast time lapse movement with the slow rotation of the Fantaseal mount looks really professional. Great accessory for those looking to up their time lapse game. WIDE APPLICATION: Attached to any smooth surfaces firmly with super suction power, such as surfboard, skiing board, ceramic surfaces, car windshield, plate glass door, car window and roof etc. With 1/4" ball head screw adapter, compatible with any camera with 1/4" screw, such as sports camera, camcorder, waterproof cameras and DSLR cameras. 360 degree rotation ballhead design ensures 360 degree shooting perspective. MORE THAN A TRIPOD: Octopus Style tripod, it is a versatile mini tripod, adjustable flexible & wrappable tripod legs, which perfectly embodies both maximum flexibility and sturdiness. It's not just an excellent tripod on flat surface, you can also wrap it anywhere you can think of, like lampposts, fence posts, tree limbs, chairs, doorknobs etc. It's a perfect grip when folded as well. Folded Height : 8"